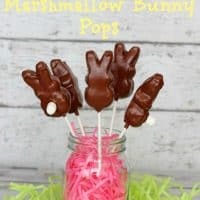 I love chocolate covered marshmallows and this recipe is so easy but produces beautiful chocolate covered marshmallow bunny pops! 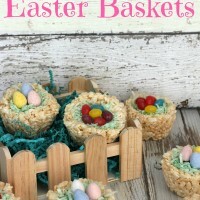 These are a big hit with the kids and are perfect for Easter celebrations too. 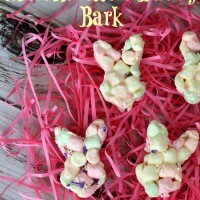 Add a marshmallow to the back and they look like cottontail bunnies! 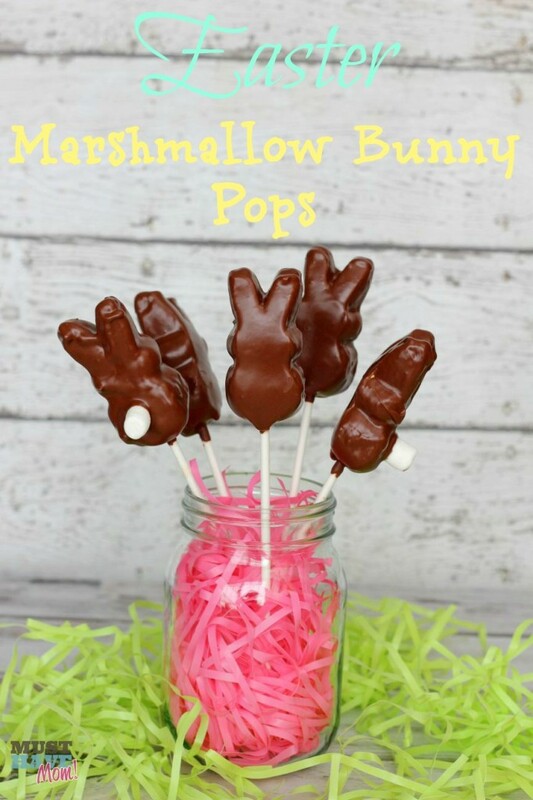 You will need Peeps, Milk Chocolate Chips, lollipop sticks, shortening and mini marshmallows. 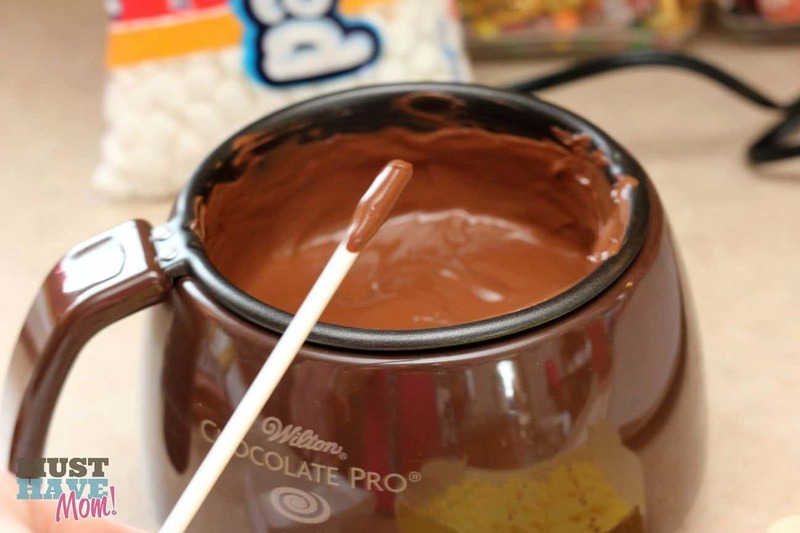 I use a Wilton chocolate pro melting pot to keep my chocolate melted to the perfect temp but you can also microwave your chocolate chips, you’ll just have to work fast to get your marshmallows covered before the chocolate cools down. When I melt my chocolate I add a tablespoon of shortening to the chocolate which will help your bunnies have a nice, glossy finish when they harden. 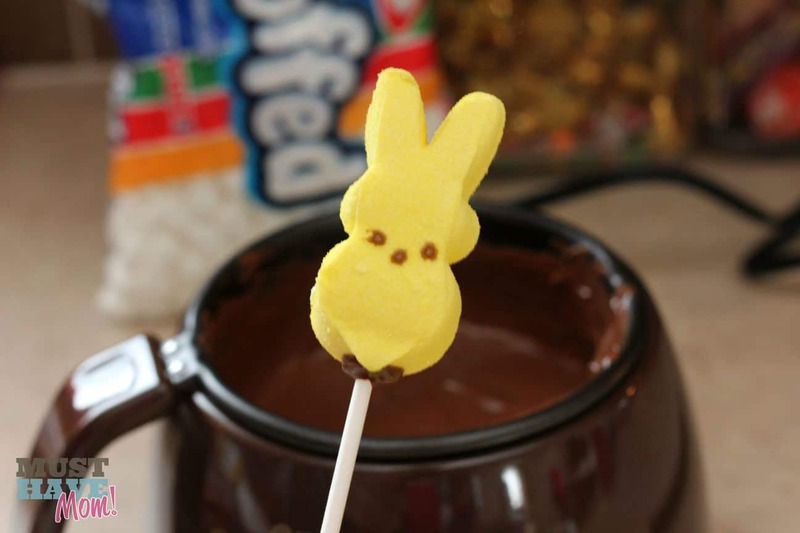 Dip your lollipop stick in the chocolate before sticking it in the Peep marshmallow bunny. This will help the stick stay in the marshmallow without it sliding off easily. Once the chocolate hardens it will hold the marshmallow in place nicely. 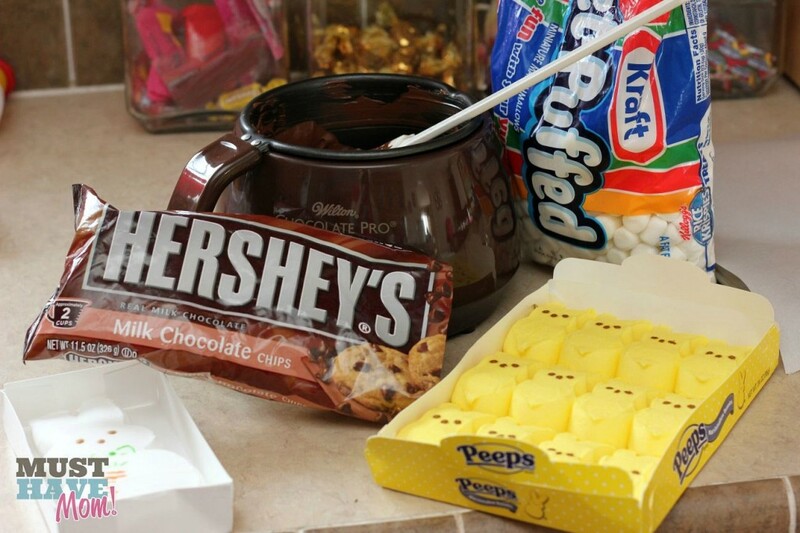 Next, dip your Peep in the chocolate and tap the stick on the side of the pot to get the excess chocolate off. 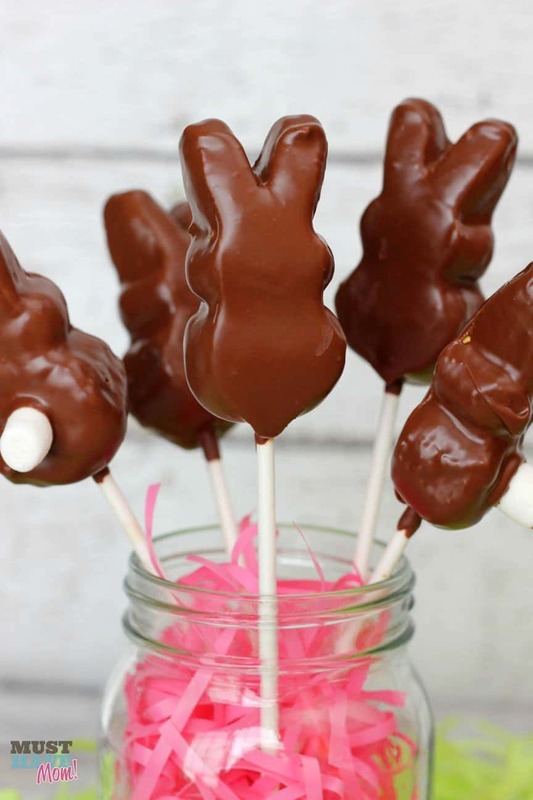 Add the mini marshmallows to the back of your bunnies once the chocolate has started to set. If you do it too soon the marshmallow will slide off so make sure to let it start to set first. I usually wait a few minutes and then put the marshmallow on and hold in place until it sticks. Then stick them in a jar like this to let the chocolate harden. 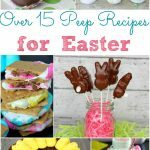 Easy Easter bunny pops that are perfect for the kids or Easter celebrations! Melt chocolate chips mixed with 1 tbsp shortening in chocolate pro melting pot or over double boiler or in microwave. Dip lollipop stick in chocolate 1/4" of the way down. 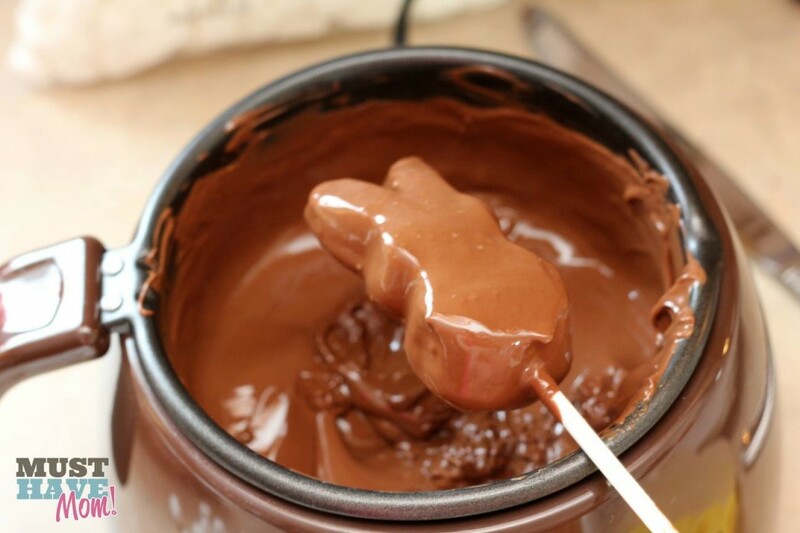 Dip bunny in chocolate until completely covered (work quickly so the marshmallow doesn't start to melt) and tap the excess chocolate off by tapping the stick on the side of the pot. Place in jar to hold the pop upwards to allow the chocolate to harden. Let set for a couple minutes and then add the mini marshmallow "tail" to the back of the bunny, holding in place until it sticks. « DIY Dishwasher Detergent Recipe + Easy Spring Cleaning Tips! A friend of mine made a slew of those last year (exact same way as you) and some of them she dipped into melted white chocolate and used chocolate mini marshmallows as their tails. Totally adorable. She does the same thing with the chicks too. They were so quick and easy to make! I love the white chocolate idea too. I didn’t think about using chocolate mini marshmallows with white chocolate. That would be cute to make a mix of the two! Oh how fun and Easy! This would be perfect for an easy fun thing to do with Carter this Easter! This looks like one I could do. Thanks for the great idea. This makes them much more tastier too! These look like such a lot of fun (and yummy too!). I’ve pinned – great activity. So simple but so cute! 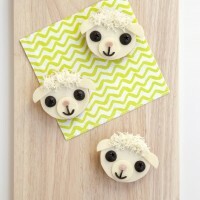 My daughter will love these! Thanks!